Let’s start with the Fabulous Friday Face. I was snapping photos in the Rhododendron Garden when Gail came down the trail. “She would be a great Friday Face,” I thought to myself, and I was right. 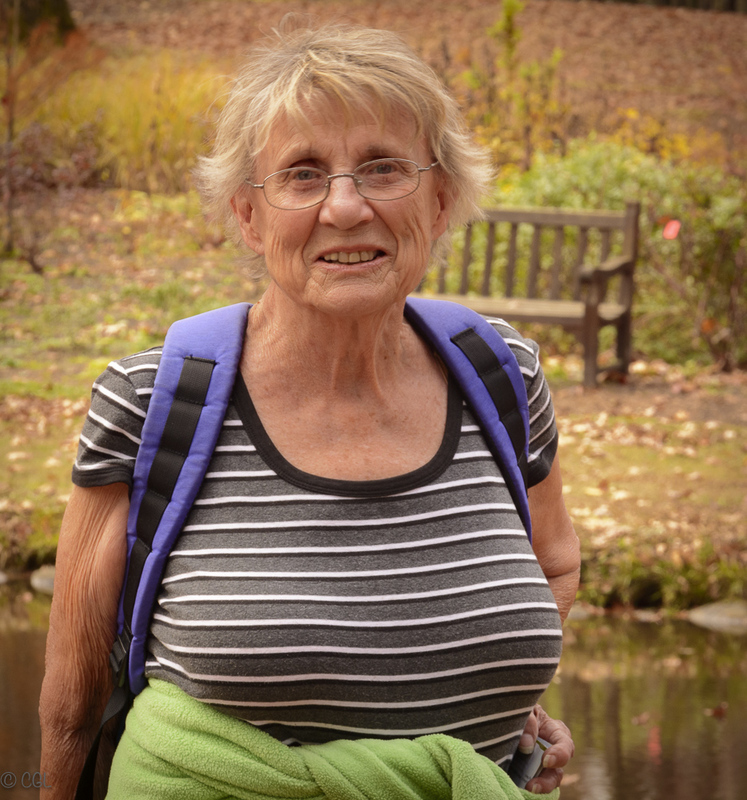 We were both enjoying a walk in the Arboretum on one of those rare November days that you wish would last all winter, when I stopped Gail and asked her to pose for a photo opp. I explained about my Friday Faces project, and we chatted about the fantastic weather and the joy of trail walking in the Arboretum. Gail told me she was once an inveterate backpacker, but gave it up a few years ago. She confided, “When I turned 76.” Everyone should look so great and be so active when they are approaching octogenarian status. Backpacking is obviously a very healthy habit. Thanks, Gail, for taking the time to pose for my camera. You can read more about my Fabulous Friday Faces project HERE in my SmugMug gallery. Click on the gallery below to enjoy a few of the sights we saw in the Arboretum on this wonderful very-unlike-November-day. Can you find the chipmunk? That’s it for tonight’s post, friends. I’ve run out of time and energy. Tomorrow I will post the third part of this series of Fall Trail Walks. I hope to see you then. Take a tip from Tank! They were on the trees two days ago, Tiny. Not so much today! I agree that Gail looks amazing. It was fun to meet her and talk to her. Hope I’m like Gail when I hit 76 – wonderful!!!! That’s a good thought, Camille. Thanks for sharing it.